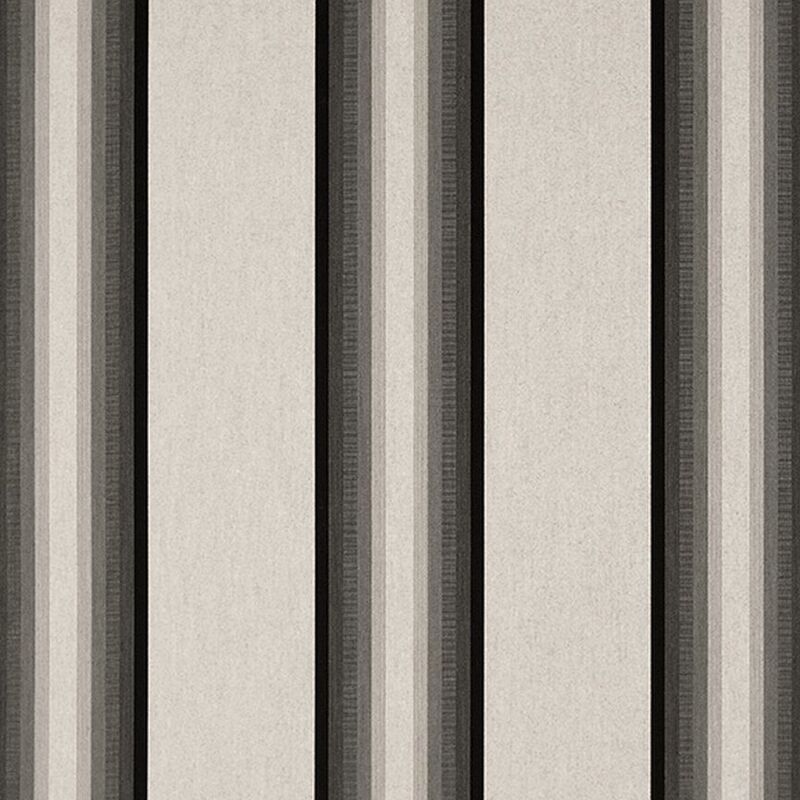 Sunbrella Awning Stripe 4799-0000 46" Grey/Black/White is a large scale stripe design with a Horizontal repeat of eleven and one half inches. The widest stripe is the Oyster Grey and measures approximately five and one half inches. Because the fabric is woven for breathability, it does not trap heat and moisture, thus preventing mildew. As a result, Sunbrella stays fresh and beautiful, season after season. Its rich color is an integral part of the fiber and cannot be washed away by the rain or bleached out by sun. Rest assured your Sunbrella fabric will look fabulous season after season.